Grote Reber, one of the earliest pioneers of radio astronomy, died in Tasmania on December 20, just two days shy of his 91st birthday. Reber was the first person to build a radio telescope dedicated to astronomy, opening up a whole new "window" on the Universe that eventually produced such landmark discoveries as quasars, pulsars and the remnant "afterglow" of the Big Bang. His self- financed experiments laid the foundation for today's advanced radio-astronomy facilities. "Radio astronomy has changed profoundly our understanding of the Universe and has earned the Nobel Prize for several major contributions. All radio astronomers who have followed him owe Grote Reber a deep debt for his pioneering work," said Dr. Fred Lo, director of the National Radio Astronomy Observatory (NRAO). "Reber was the first to systematically study the sky by observing something other than visible light. This gave astronomy a whole new view of the Universe. The continuing importance of new ways of looking at the Universe is emphasized by this year's Nobel Prizes in physics, which recognized scientists who pioneered X-ray and neutrino observations," Lo added. 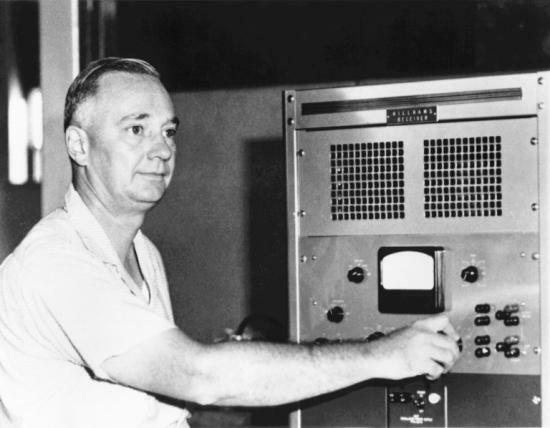 Reber was a radio engineer and avid amateur "ham" radio operator in Wheaton, Illinois, in the 1930s when he read about Karl Jansky's 1932 discovery of natural radio emissions coming from outer space. As an amateur operator, Reber had won awards and communicated with other amateurs around the world, and later wrote that he had concluded "there were no more worlds to conquer" in radio. Learning of Jansky's discovery gave Reber a whole new challenge that he attacked with vigor. Analyzing the problem as an engineer, Reber concluded that what he needed was a parabolic-dish antenna, something quite uncommon in the 1930s. In 1937, using his own funds, he constructed a 31.4-foot-diameter dish antenna in his back yard. The strange contraption attracted curious attention from his neighbors and became something of a minor tourist attraction, he later recalled. Using electronics he designed and built that pushed the technical capabilities of the era, Reber succeeded in detecting "cosmic static" in 1939. 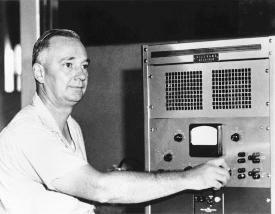 In 1941, Reber produced the first radio map of the sky, based on a series of systematic observations. His radio-astronomy work continued over the next several years. Though not a professional scientist, his research results were published in a number of prestigious technical journals, including Nature, the Astrophysical Journal, the Proceedings of the Institute of Radio Engineers and the Journal of Geophysical Research. Reber also received a number of honors normally reserved for scientists professionally trained in astronomy, including the American Astronomical Society's Henry Norris Russell Lectureship and the Astronomical Society of the Pacific's Bruce Medal in 1962, the National Radio Astronomy Observatory's Jansky Lectureship in 1975, and the Royal Astronomical Society's Jackson-Gwilt Medal in 1983. Reber's original dish antenna now is on display at the National Radio Astronomy Observatory's site in Green Bank, West Virginia, where Reber worked in the late 1950s. All of his scientific papers and records as well as his personal and scientific correspondence are held by the NRAO, and will be exhibited in the observatory's planned new library in Charlottesville, Virginia. Reber's amateur-radio callsign, W9GFZ, is held by the NRAO Amateur Radio Club. This callsign was used on the air for the first time since the 1930s on August 25, 2000, to mark the dedication of the Robert C. Byrd Green Bank Telescope.